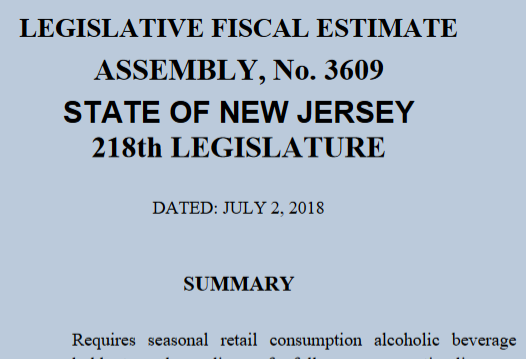 Assembly gets fiscal estimate of original bill to force conversion of seasonals to year round. Sea Girt’s seasonal license holder Parker House in contentious renewal hearing. Thank you Coast Star for the permission to republish. More on this story here. This was written by admin. Posted on Friday, July 6, 2018, at 1:35 pm. Filed under Uncategorized. Bookmark the permalink. Follow comments here with the RSS feed. Post a comment or leave a trackback. Resulting Municipal expenditures apt to be incurred. What a joke on taxpayers. 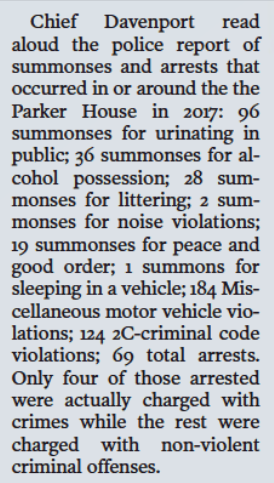 The Belmar Chief is to busy acting to appear in front of the borough council to stress the impact that the bars have on his department and the taxpayers of Belmar. The final paragraph of the bogus bill sums it up! May be additional cost to local municipalities because of public safety! MAY BE???? This bill is all that’s wrong with DJ’s funding the Democratic Party. How Belmar residents can think that is all ok is beyond my comprehension.